As scientists work to understand more completely the full range of diversity of species on Earth, there are two common problems that often arise in studying closely related organisms. The first comes up when researchers find separate populations that look very similar outwardly and have been treated as a single species. On closer examination, these populations can be discovered to represent multiple, distinct species. Uncovering these “cryptic species” can involve molecular analysis of DNA sequences along with studies of larval stages (such as caterpillars), diet, behavior, and other subtle differences in morphology or markings that might have been missed in earlier studies. On the other hand, there are also populations that look different enough to be named and described as different species; these seeming separate species might be isolated from each other and have variability that has come about from genetic isolation as well as seasonal and geographic differences, but sometimes the differently named species turn out to be more accurately considered one single species. This process of merging two species names together into one “taxon” is called synonymizing. 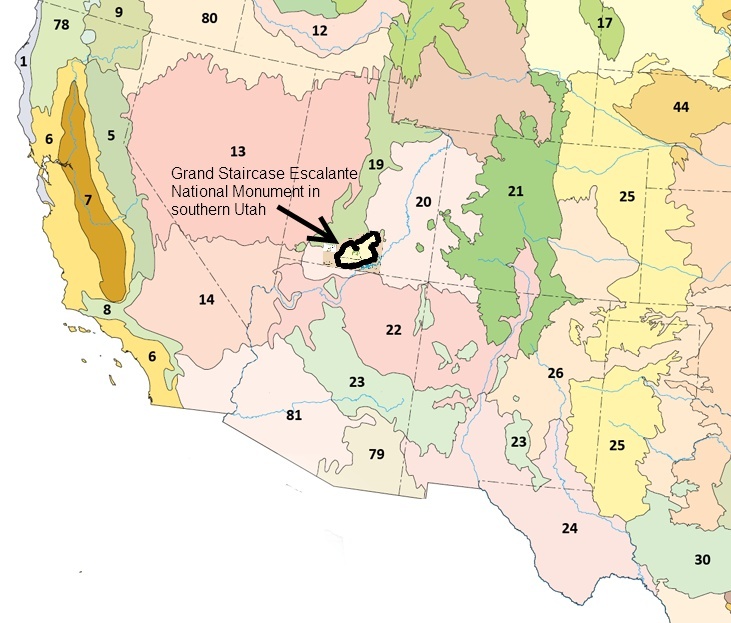 Because of its large size (almost 1.9 million acres), the diversity of included habitats, and location in the Colorado Plateau, the Grand Staircase Escalante National Monument provides an important study site for populations of plants and insects that may have wider ranges extending from the Rocky Mountains and Colorado to the east and the Mojave Desert and Sierra Nevada to the west. Our current research studies in the GSENM are focused on better understanding the classification of four closely related “emerald moths” currently described as four distinct species: Nemoria caerulescens, Nemoria intensaria, Nemoria festaria and Nemoria albilineata. To continue reading about these species and our work with moths in the Grand Staircase Escalante National Monument, click here. To learn more about the role of DNA is distinguishing species, click here.